Win was 18th win and 41st podium for Juha Kankkunen. 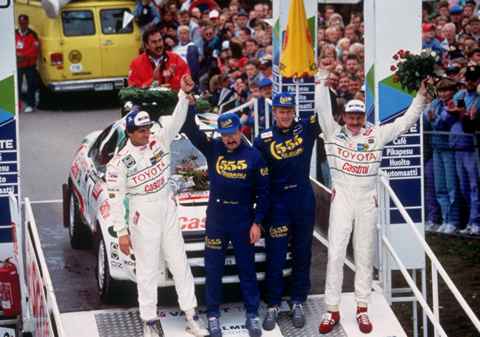 Second place was 24th podium for Ari Vatanen. Third place was 27th podium for Didier Auriol. Win was 31st win and win and third place were 84th to 85th podiums for Toyota. Second place was 7th podium for Subaru. Juha Kankkunen's third co-driver of the season, Denis Giraudet (left), celebrates his first win alongside Juha (right).